Walking down the altar is one of the dearest memories that will never fade, no matter how much time passes. For our big day, there’s nothing more that we want more than the best – it’s the day when even the smallest of details matter so much to us. Saying “yes” in front of a not-so-creative altar can seem like a burden to some, especially when you know how many creative and budget – friendly decorative options are out there. We prepared a list of ten that will help you make your mind in what you want the most – a rustic romance or a floral fairy tale? Vintage is magical in its very own way. There’s something about old, or at least old – looking furniture that gives so much feelings to the event. If you’re the kind of person who likes these kind of “old-fashioned” vintage stuff, then consider your altar to be something like this – old windows, or an old table – even both. 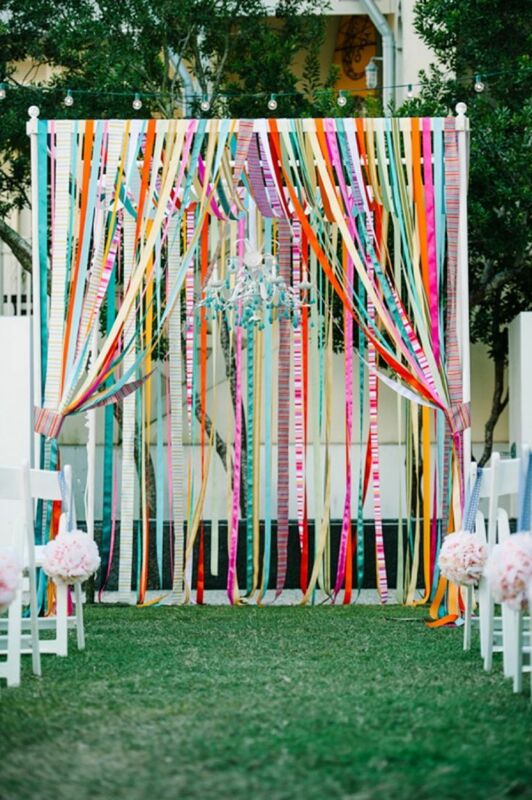 There’s plenty of ways you can use ribbons for decoration and not just for your weddings, but for plenty of other events too. 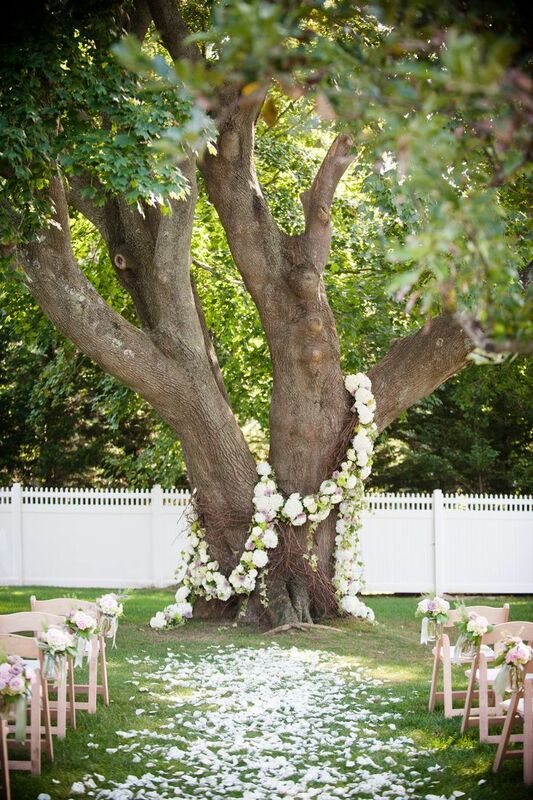 But when it comes to weddings, ribbons are usually used for decoration of chairs and aisle. This time, use them for your altar as well! It doesn’t need to be the regular white, pink or champagne, be more unique and choose more colors – it would look happy, just like you! For all the minimalist lovers – here’s an idea for you. There’s no wood, backdrops, or anything like it. 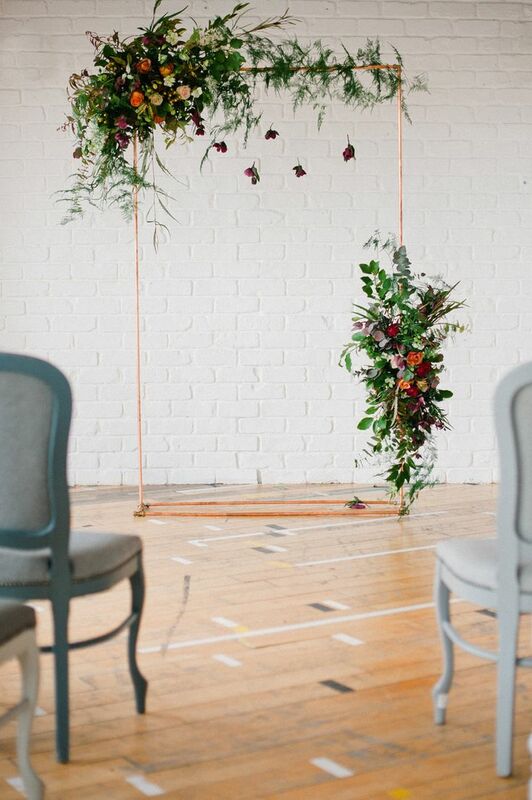 This is as simple as it can get – it’s just a copper pipe wedding arch. It looks very elegant as well, and if you feel like you want to add an element or two, you can always consider flowers as one of the best options you have. Are you dreaming of having that traditional, romantic, rustic wedding in the middle of a valley, surrounded by nature and a breathtaking sunset? 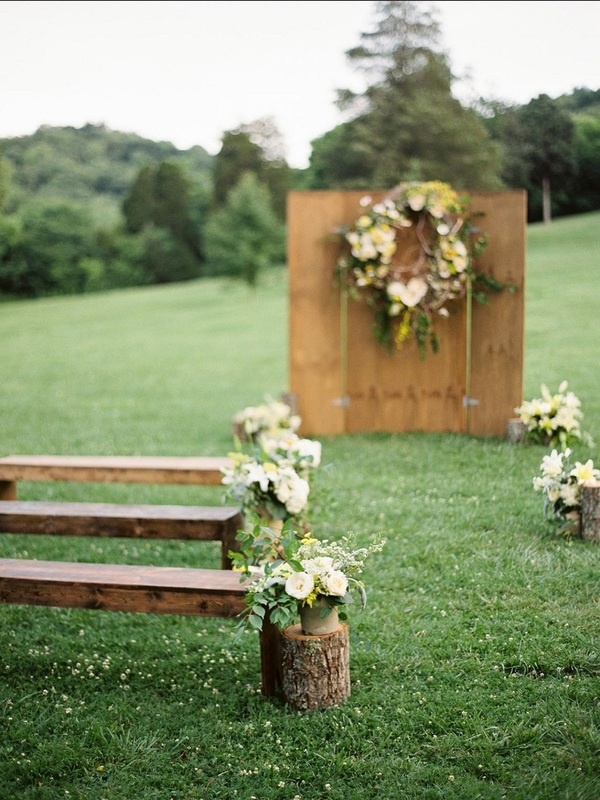 In that case, we totally get you because rustic weddings are truly one of the most beautiful. As cliche as it gets, this style doesn’t lose its charm – in fact, with so many different ways of decorating, it never gets boring. Unlike minimalists, maybe you like things being glamorous and impressive. 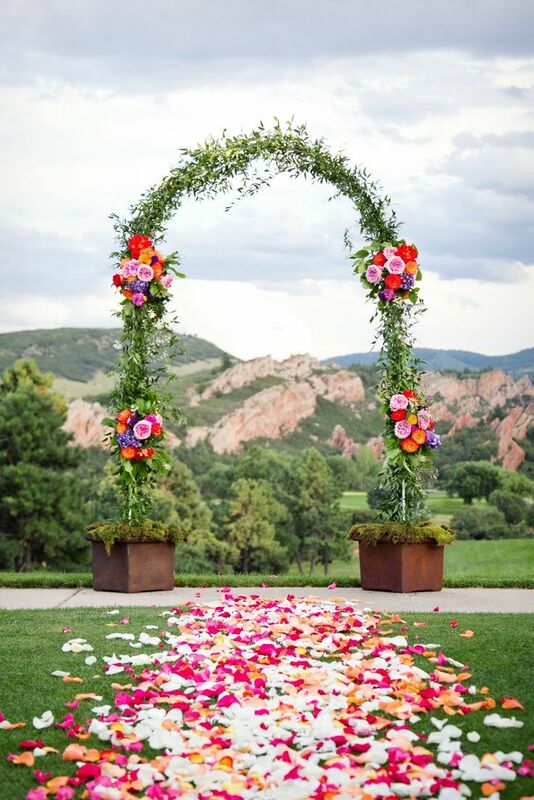 This wedding altar is actually one huge arch that is covered with greenery and plenty of pretty flowers! To make things even more impressive, you can spread rose petals in different colors all the way to the altar. This is a sure way to get your guests say “wow”! Romantic and traditional, the backdrop altar is something that you see often, but don’t mind since it’s very beautiful. 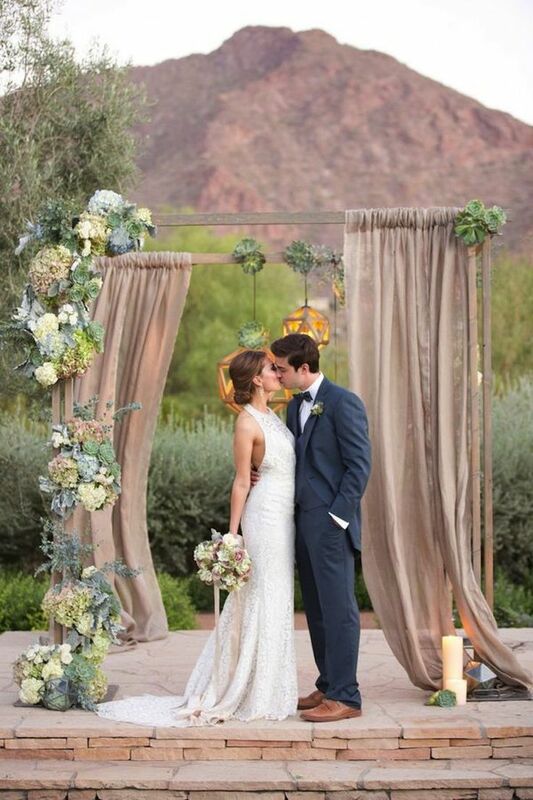 No matter where the wedding takes place, a beach or a mountain, the curtain backdrop is going to look nice and would definitely achieve that romantic atmosphere you’d like to have at your big day. If nothing of the ideas presented so far satisfied you so far, then we have something very creative to show you. How about making your altar a small art gallery? That means placing few big pieces of art and getting married in front of them. 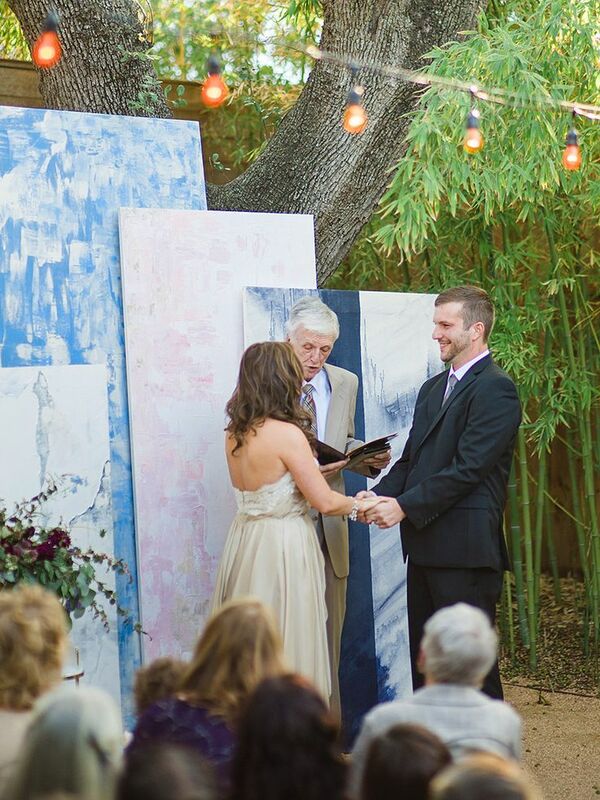 This kind of artistic approach to wedding isn’t something we see that often – most people go for traditional, romantic, boho and rustic weddings, but art is something different. 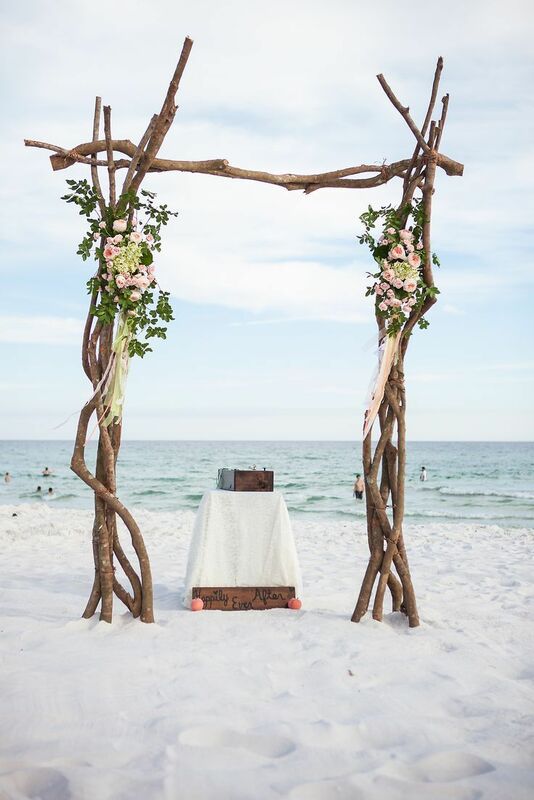 Ideal for weddings that take place at the beach, the driftwood altar is something that would be the most amazing decoration. Arrange the wood in interesting shape, yet in order that won’t fall down, and make sure to decorate it with greenery and flowers. Since it’s the beach we’re talking about, you can even try decorating with nautical decor as well. 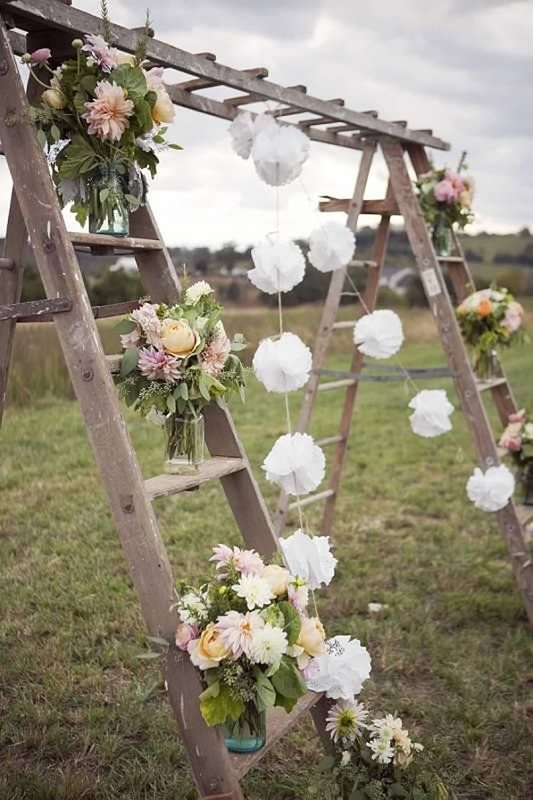 Another rustic approach to a wedding includes having a ladder for your altar. At first may seem like not the best idea, but if you add the right decorations, it can look really nice. Take a look at this photo for example – it has bottles with flowers, just flowers and paper flower garland. 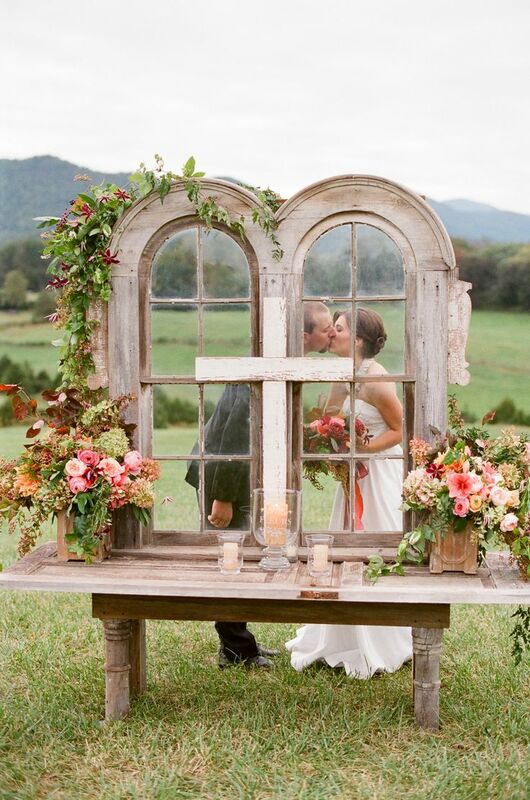 It’s very rustic and romantic at the same time! Or, if you want to keep all things natural as possible, have you considered having saying your “yes” right in front of a tree? It may sound funny, but it can look amazing if done the right way. There’s nothing much that can be done actually here, but even the few options you have are amazing – attaching flower wreaths seems nice, right?